A view northeast from the cliffs at Sanaigmore: Ardnave with its dunes and beaches in the foreground, behind it the cliffs around Mala Bholsa. 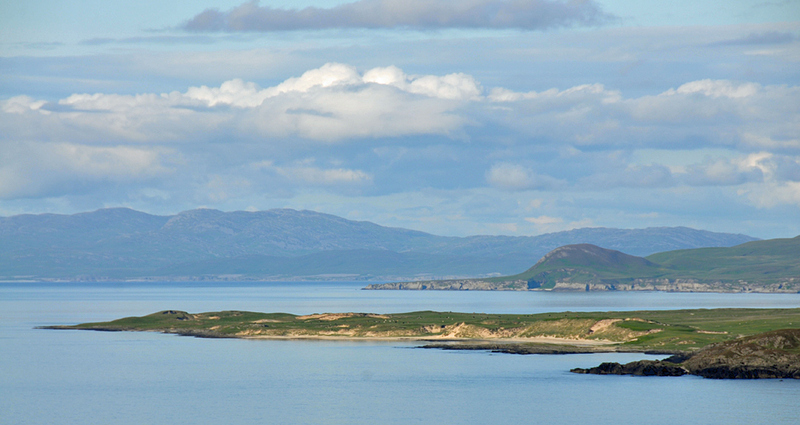 In the distance the west coast of Jura. This entry was posted in Beaches, Cloudy Weather, Landscape, Repost, Sunny Weather and tagged Ardnave, Islay, Jura, Mala Bholsa, Sanaigmore by Armin Grewe. Bookmark the permalink.